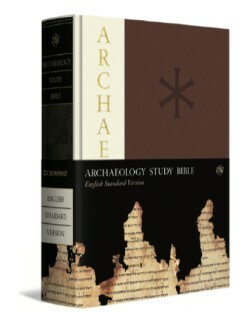 Congratulation to John Currid, the Carl W. McMurray Professor of Old Testament here at RTS Charlotte, for the recently released ESV Archaeology Study Bible. John was the editor of the project which was a monumental piece of work. The volume includes contributions from a number of archaeologists. David Chapman was the NT editor for the project. This new project fits with Dr. Currid’s other works in archaeology, including ESV Bible Atlas, Against the Gods, Doing Archaeology in the Land of the Bible, and Ancient Egypt and the Old Testament. Dr. Currid has regularly led trips to Israel, is currently an adjunct faculty member at the Jerusalem Center for Biblical Studies in Jerusalem, and has served as Project Director of the Bethsaida Excavations Project for more than 20 years. You can pick up a copy of the book here. Congratulations to John! I am Brazilian and would like to ask you a question about the Talpioth tombs. Do you know of any study that dismisses these claims so I can disclose? Or an answer right here to clarify the subject?